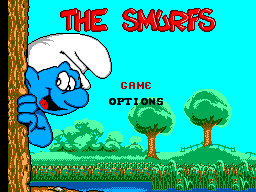 "Gargamel has already kidnapped three Smurfs. 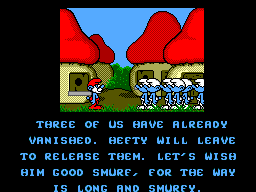 Smurf to their rescue! 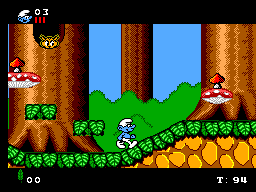 Smurf down the mountains riding on a sledge, explore the labyrinths of nasty enemies such as the Buzz flies, the Angry Smurfs, the Howlbird, Azrael and...Gargamel!"